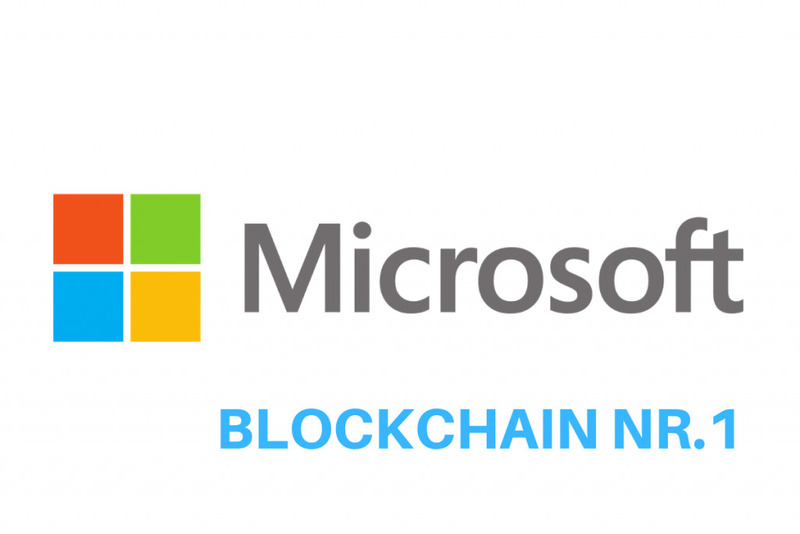 According to a recent report, Microsoft is now the number one Enterprise Blockchain company in the world. This report places Microsoft’s Blockchain-as-a-Service (Baas) platform ahead of other top-ranking platforms like that of IBM, Cisco, SAP, HPE, Huawei etc. The ranking report was compiled by a market foresight advisory firm called ABI Research. The report made sure to provide in full details the factors considered which led to Microsoft getting crowned as the King of Enterprise blockchain platform. The fact that the Microsoft’s BaaS platform is well integrated with the company’s Azure cloud service, which has the second-largest market share in the public cloud services market globally is a major advantage for the company. According to the ranking report, IBM is the next on the list after Microsoft. Other services such as Oracle, Amazon, Alibaba, Baidu, Cisco, SAP, HPE, Huawei, and Tencent were also ranked in the report. The report also made sure to stress that the combined market shares of all other companies in the ranking are still a far cry away from that of Microsoft or IBM. Another factor which might have contributed to this is the fact that both IBM and Microsoft have been in the business longer than any of the listed Vendors. This is apart from the fact that both IBM and Microsoft have a preexisting user base from their other products. The two companies have managed to integrate relevant products together, thereby offering better features than any vendor out there. With all these investors taking in blockchain technology, the future of blockchain looks really bright. Microsoft will need to work hard to keep its rank. Amazon would not just sit and watch. Amazon is always looking for ways to be on top of anything it sees as budding potential.